The 2nd American Bazaar Philanthropy Dialogue, was held in Washington, DC, on October 10, 2015, It once again brought under one roof various stakeholders and leaders from the Indian American philanthropic community to brainstorm giving in both the United States and India. 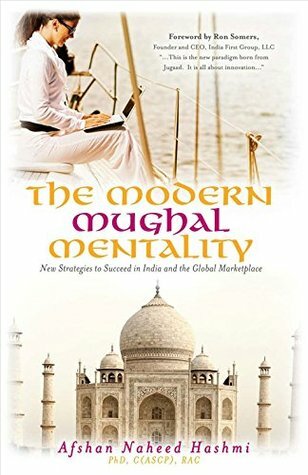 I was invited to attend this event as I have pledged in my book The Modern Mughal Mentality-New Strategies to Succeed in India and the Global Marketplace, that certain part of my book sales will go towards philanthropy. Everybody present liked my book a lot and appreciated my efforts a lot. I signed many copies of my book. A key part of the Dialogue was the 2nd AB Philanthropy Lecture, which was delivered by eminent Indian American philanthropist and Chair of the American India Foundation Lata Krishnan . Assistant Secretary for Global Markets, U.S. Department of Commerce Arun M. Kumar introduced Krishnan. I even asked question with Lata and she answered me to my full satisfaction. My friend Frank Islam was honored in the event for his donation to both of ours AlmaMater the prestigious Aligarh Muslim University. I also spoke about my book in the event and told the audience that Frank Islam believed in my book and endorsed it also, Everybody congratulated me on my book being Amazon best-seller in a category as well as hot #1 new release in a category.